Listen: The Dovecotes - "Miles Away"
The Dovecotes is comprised of several former members of the group Rare Monk, who impressed many years ago with numerous releases, and a sound that traversed across a wide variety of genres (Celtic punk, avant-garde rock in the vein of Man Man, and southern gypsy-pop all appeared). 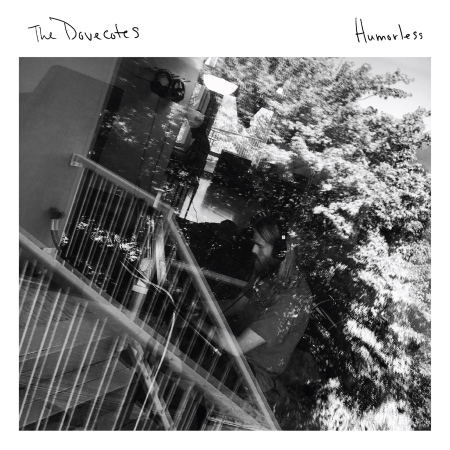 The Dovecotes formed in early 2015, when singer Hugh Jepson (formerly of Rare Monk) and guitarist Dustin Stallings were joined by bassist Forest Gallien (also of Rare Monk) and drummer Lukas Schneider to perform live. They started recording their second full-length, Humorless, last summer, and are now set to release it on March 31st. “Miles Away” is our first peek at it, and shows a track that’s conventional by stylistic standards, though very melodically effective. A gliding bass line and twangy guitars complement Jepson’s endearing vocals, leading into a trickling chorus with a soaring scope. It reminds of a lusher-sounding Grizzly Bear at numerous points. It’s a good one, for sure, that has me anticipating this release, from the remnants of an act I’m happy to hear again.